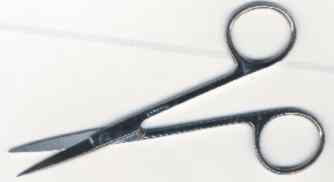 Thumb dressing forceps are available in 4.5", 5", straight for $1.30 and 1.40 ea., 5.5", 6" for $1.50 and 8" for $2.60. They are stainless steel and the 5" and less are floor grade which means they are for regular use, not in an operating room while the 5.5" or more are high grade. Imported.